Some time ago I was writing about spring onions, and I mentioned that in case of pests, you should apply pyrethrin. The best garden sprayer available will be needed for proper spreading, which is sure. And not just for that. In my previous texts, I have mentioned that weeds need to be thinned out, or liquid fertilizer applied. For all of that, sprayer comes as undoubtedly useful assessment. Why bothering with cans and other not-so-effective methods, when you can do it much faster, practical and comfortable? Choosing one among so many others was not an easy task, to be honest. To make it right and thorough, I had to determine a set of rules. Specifications which need to be fulfilled, and upon which results I can make the final judgment. So, here are my criteria. The number one and an essential characteristic of every sprayer is how much liquid it can store in the tank. Although it is true that the bigger the volume, the fewer trips for refilling must be taken, a large tank is not always the advantage. If the tank is way too big, filling it up with liquid and all the way to where you have stopped is tiresome. Also, those big sprayers cannot be used efficiently indoors, for pot plants or vegetables. They are ejecting more significant quantities of sprayed solution, and thus can dangerously increase the concentration of it within the room. Of course, those hand-held sprayers are not suitable for large-scale covering. Imagine that lanes are 50 feet long. Covering that would require a lot of time. The pressure created within the tank is what “pushes” the fertilizer or pesticide through the hose, wand and to the surface or the plant. Now, something must create that pressure, and that “something” can come from two sources. Hand-cranked Sprayers – usually have the lever which is pumped, and thus the pressure is gained. It is efficient, but tires quickly, especially those users who are not accustomed to this. Battery-powered Sprayers – those have a small pump which is powered by a battery, and it replaces constant cranking. In turn, these additional parts are increasing the weight of the entire sprayer. Each of these two is suitable for specific situations. Those powered by hand are ideal for hand-held sprayers, and those which are ideal for the medium area coverage. In case of the large-scale appliance, those with batteries are way better. Of course, one of the crucial factors to determine the winner is the material of which the sprayer is made. The tank is usually made of plastic, and the better the quality of it, the more aggressive chemicals it can contain. The best ones also include the transparent part where the level of the liquid inside can be seen. The nozzle, wand and the hose also reflect the overall quality of the sprayer. Brass is far more suitable for vent then aluminum, for example, because it is more resistant, durable and it will last longer. Also, stainless steel is considered as the most expensive material, so those who have parts made of this metal are also of the top-notch quality. 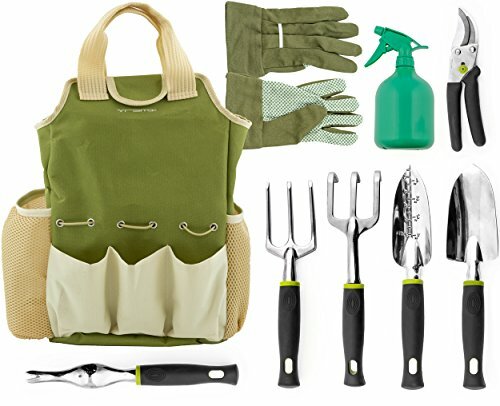 Maintaining gardening equipment is vital for its longer service and better performance. However, the amount of time which is spent after every usage also dictates the probability of particular product to be a winner. How much money will be set aside for buying one of these sprayers is another crucial question. Of course, I didn’t want to be tight-fisted; if the product is right, I will buy it even if the price is perhaps a bit higher than I have planned. On the other hand, I didn't want to rush either. The online selling had slashed the prices in the past decade; because of the vast competition, they are plummeting. So, the best advice about expenses which I can give to you is to find a good product and pay reasonably for it. Considering the rules stated above, I have done a thorough research about the products online and tested each one of those which I have thought as worthy to be on this list. 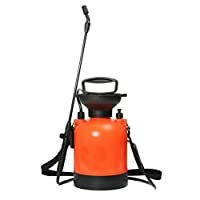 Without further delay, here are the top garden sprayers available; each with its pros and cons, so depending on your plans you can make a choice. From Roundup, here’s my winner! At first, I thought that it would be too small to be useful, but I was wrong. It is made of quality plastic, sturdy and resistant to whatever is poured inside. It is semi-transparent, so reading how much fertilizer is left inside is not a big deal. Also, the size of it is perfect, not too massive to carry it around, nor too small to need to be often refilled. The volume of the tank is appropriate 2-gallon, and it looks as if it can contain the pressure generated. Speaking of force, it is impressive, since there is 25% less power required to build it up. The design is excellent as well since it is convenient to be carried by the handle, or by the straps. Also, the design makes cleaning easy; just pour in some water, shake it and spill it. That is all that is needed. What delighted me, even more, is the wand. Where to start? It is full metal made, with a large hose which prevents clogging and improves the amount of solution sprayed, and it comes with brass nozzles! Also, the internal mechanism of the wand is made of metal as well, and the whole rod seems heavy and reliable; almost that you can change a tire with it, let alone spray herbicide. The price might seem a bit high at first sight. But, if you carefully consider that you are getting one fantastic sprayer, with additional nozzles, metal wand, and improvements such as pressure-releasing button and lock-in mechanism, it is clear that it is more than suitable. The second place is perfect for this little guy; it can swing a punch, that is certain, but not a big one. While browsing and looking for sprayers for this list, this one from CANCA caught my eye. I decided to give it a try; since it seems promising. The first thing I have noticed is how small the tank is; with 0.8 gallons it is clear that its primary usage is indoors or to tackle minor areas of weed or insects. Still, the manufacturer did a great job, since it has an insane tank, very thick plastic will hold extra pressure with no fuss. But, that is all that is amazing about this sprayer, unfortunately. Its wand is made of plastic, which was a disappointment. Although the quality of manufacturing is apparent, I don’t believe that it will last as long as metal one. Also, the nozzles are made of plastic as well. On the other hand, straps for shoulder carrying are nicely made and are comfortable, but since it is so small, I found it easier to move it by the handle. Also, cleaning was easy, I had a feeling that nothing sticks to this plastic, so shake-and-spill was pretty much all the maintenance. The matter of price is reasonably done as well. It is neither too expensive nor too cheap. Just said, it reflects the quality of the product entirely. From time to time comes a product which is so awkward in design that it is either ridiculous or just unbelievable. Luckily, this sprayer blew my mind, so it is latter. What if I told you (yes, “The Matrix” reference) that not all things have to be carried around in your hand or on your back? Smart people from VSE came up with a fantastic idea. They packed a 12V battery, a small pump powered by it, and the sprayer into one, and we got sprayer which is dragged around like a traveling bag, without tiring. 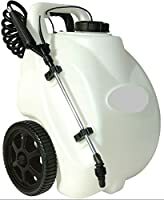 The tank of the sprayer is made of quality, semi-transparent plastics, which can easily sustain 45 PSI of pressure how much the pump is creating. This is enough to spray the stream up to 10’ in height, which is more than enough. Also, the hose and the wand are elegantly made; although the wand is of aluminum, it can extend, and looks and feels reliable. Of course, I was a bit worried that working with liquids and electricity might give me a new hairstyle (a bit spikier one), but there was nothing to worry about. Everything is sealed off and isolated, and waterproof of course. The battery is rechargeable, so keeping it charged was the only worry I had. The price is high, there is no doubt, but this is something of a higher caliber, so the price is suitable. In case that you have a vast area to cover, and don’t feel like dragging the tank around, this is the one for you. 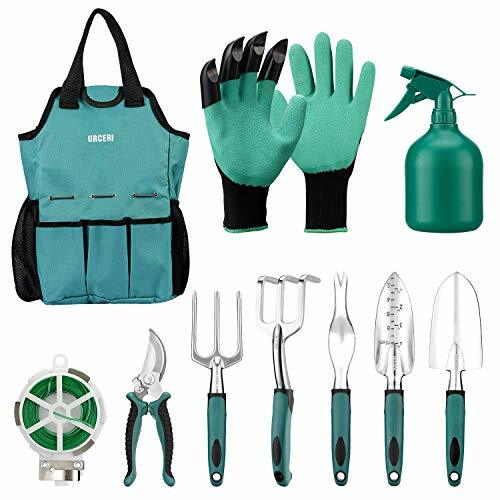 Chapin is a well-known name in the world of gardening equipment. Therefore, they have decided to make a reasonable, no-additional-equipment sprayer which can still do whatever is required. And truth to be told, they have managed to do so. First of all, there is no sign of metal in this design, except for internal springs or similar. I haven’t disassembled it to be sure. But on the other hand, metal is not required every time. The tank has a volume of 1 gallon, which is more than enough for smaller undertakings. The plastic of which is made is of high quality, and it sustains the pressure reasonably good. However, since this is one fundamental sprayer, there are no additional features, such as a pressure-release button, so I got my hands covered in pesticide while I was opening it, and that was a significant drawback. Also, no lock-on feature is noticeable, and carrying it around had to be done with much care. Luckily, the maintenance was easy, so there is no worry about that, but since the nozzle is plastic, cleaning it with vinegar once in a while is a must; it will get clogged by a scale from the water. The price is the best feature of this sprayer. It is the lowest possible, and if you are a beginner, or just don’t want to splash the cash, this is a perfect choice for you. 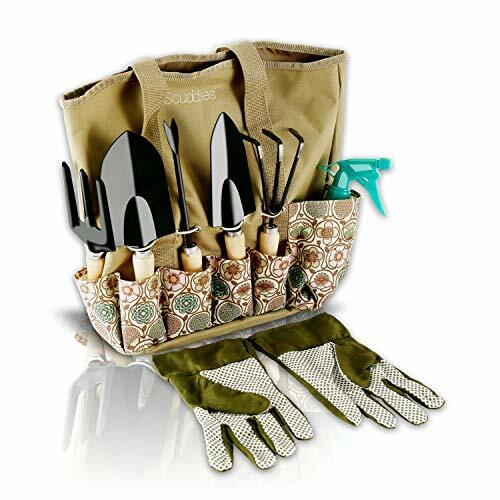 All of the other products here are quite convenient for outdoor usage, whether that be open field or garden. But, those cannot be used for plants which are in pots or windowsills. Therefore, these two will do the trick. Solo 420 is a one-hand sprayer, with the volume of 2 liters (0.52 gallons). On the upper part, there is a crank which is pressed several times until the pressure is generated, so it can spray the fertilizer or pesticide since these two are most commonly used with such small sprayers. The wand is made of plastic and metal and can be extended, which is new when it comes to portable sprayers. The manufacturer also did its best to make a container, which is made of high-quality polyethylene which is also UV resistant, so there will be no alteration in the chemical compound which is within. The handle is comfortable, and it is not intended for prolonged usage, but this is not the goal of the product overall. It also sports trigger for releasing extra pressure, so when I opened it at the end, no drops were flying around. The price might be a bit high, but considering that this product is also usable in the field for treating problematic spots, it is acceptable. 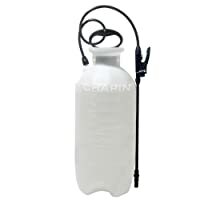 Another sprayer intended for plants which are growing in pots, Chapin 1002 sports a tank of 48 ounces. It is rather small, but sufficient for everyday needs. In fact, when I was growing watermelons in a pot, I have used this sprayer for watering. It is convenient to be held, and comfortable as well. Although it doesn’t have the telescopic wand, its sturdy plastic container makes him worthy of consideration. Also, the lid is quality made as well, with striking red color so that it won’t get lost so easily. As for the maintenance, a quick splash of water is all that needs to be done; and if you use it for a watering, as I am, not even that will be required. The price is acceptable, low even. Considering that you will probably going to use this model on a daily basis, it is reasonable to think about, since it is right in quality, and just put; it does its job. In the end, it is clear why has Roundup PRO 190410 beaten its competition. The best garden sprayer must be reliable, quality made, affordable and comfortable to use. In all of these categories, the PRO 190410 had shown excellent performance and the best quality. As always, if you have any question, suggestion or idea, feel free to share it in the comment section below.